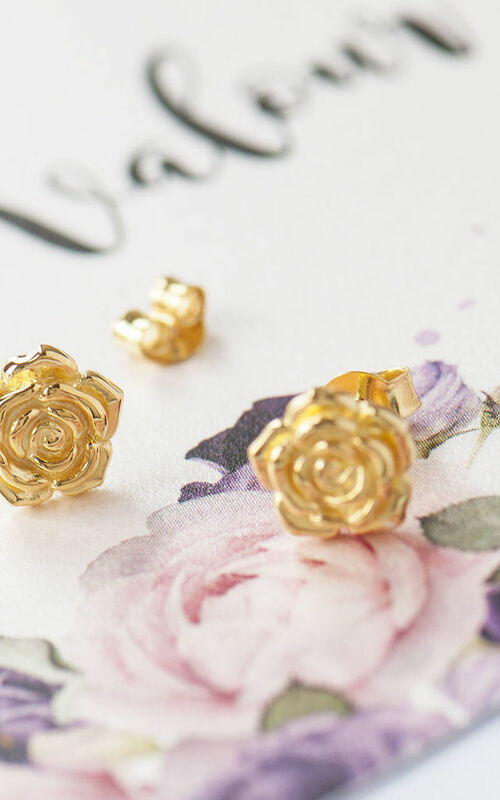 Adorable little Rose stud earrings. 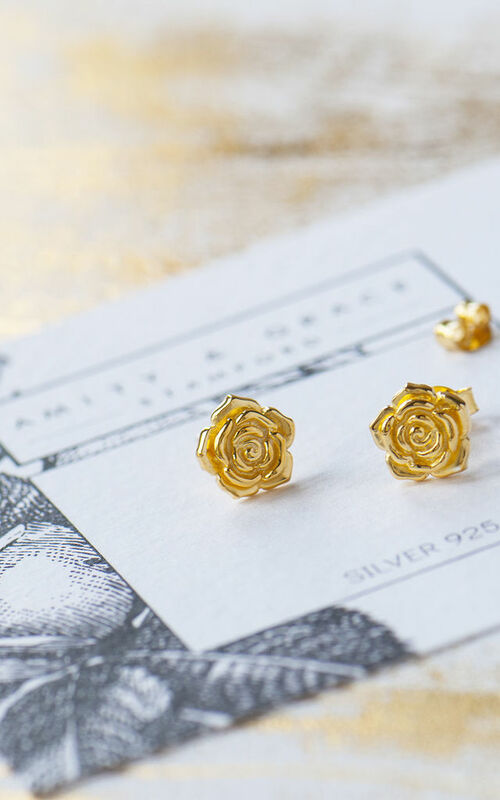 These Rose studs are made in Sterling Silver with either a Gold or Rose Gold Plating to one micron. The earrings have a polished finish and a butterfly back fastening. 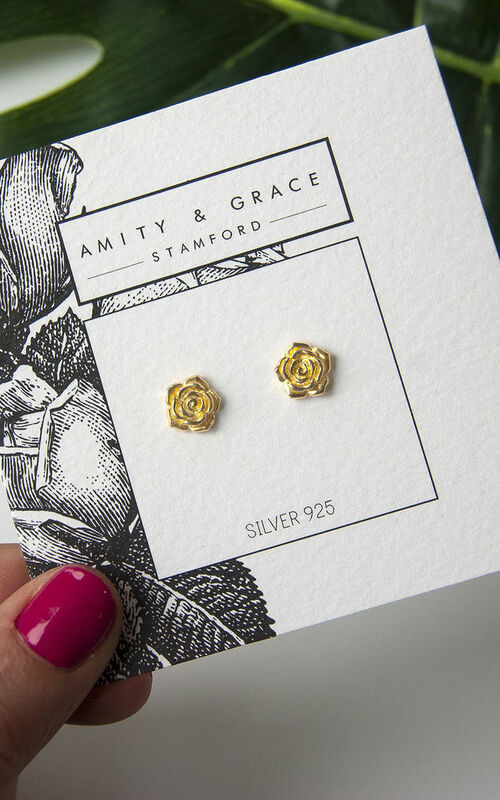 All parts of the earrings are made from Sterling Silver and are nickel free and hypoallergenic.